Download a Simple GANTT Chart Template that provides a visual aid to assist in understanding how well a project is doing. 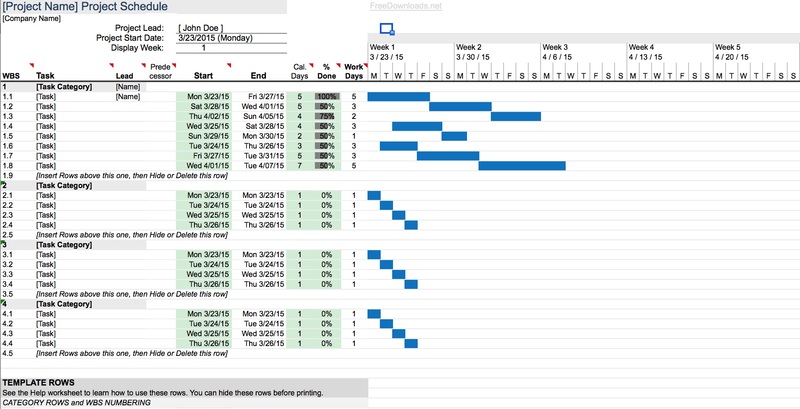 Gantt Charts of any kind are very useful while scheduling projects. It will provide information such as how long a project may take to accomplish. It will help in understanding what resources may be needed. It will also help manage a project so you will know how long it may take to complete. Enter your data each time action is taken by yourself or any member of your task team. As long as the project continues, you will have an opportunity to keep on track as long as you continue to enter your data as you go. Once the project is complete, retain your chart for reference for your next project.